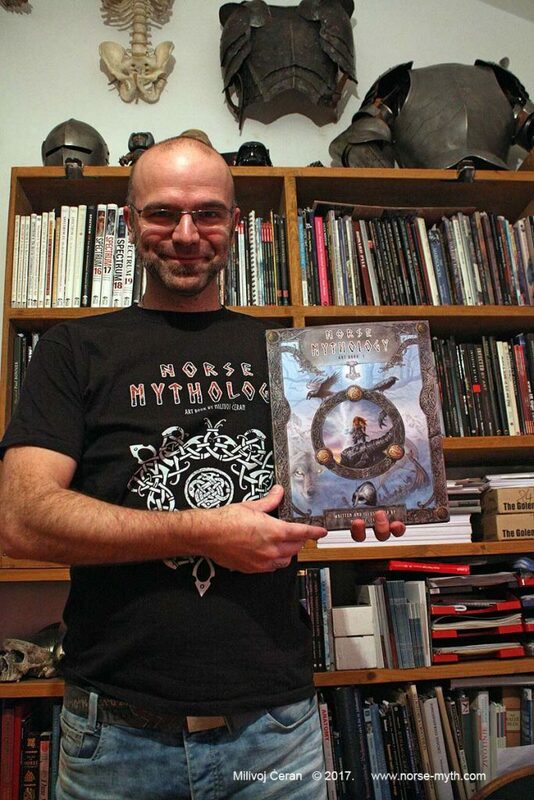 This day finally came, and I’m super excited to share this with you: I finally received the proofs of the Norse Mythology art book! And I’m speechless. They look AMAZING! 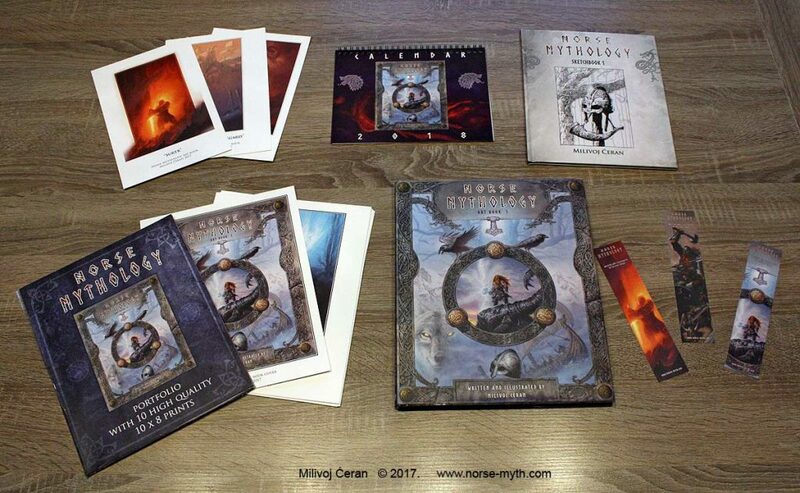 After this whole 3 weeks long detective story with finding the missing shipment, which suddenly just appeared after we already lost hope, it’s time to give you the insight to the book. I must admit I felt like 5 years old kid opening Christmas present. Thrilled and excited. All proofs of the products are now in my studio, after traveling almost the whole world – from China to the US, and from the US to Croatia! 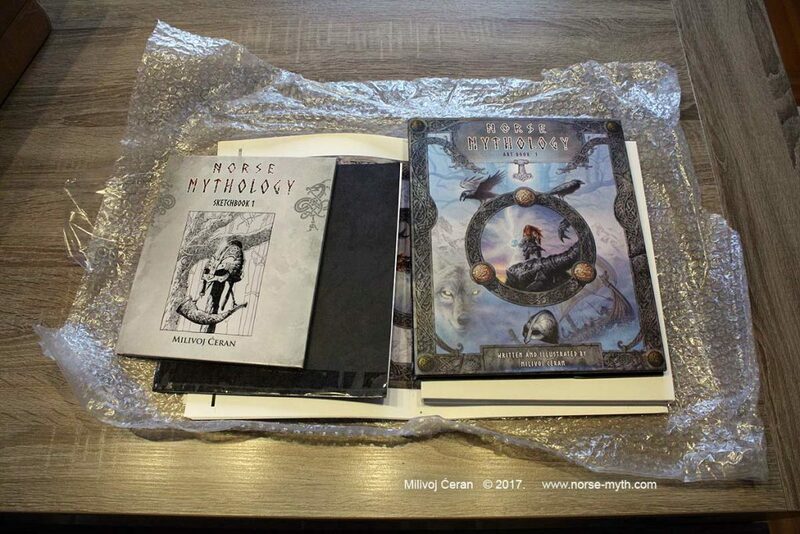 The Norse Mythology art book, sketchbook, the portfolio with 10 prints, calendar, prints, bookmarks and an even the dummy of the clamshell case, but without leather and embossing. The big prints are here as well, but they are bent (folded in the box), so I left them out of the photo. After the first look, I found out that the colors are fantastic. Maximum accurate to the original file on my computer. And that was the moment I was afraid of – what if I won’t be satisfied with colors? The printers are in China, so it’s not easy to control the production, being thousands of miles away. So I felt a huge sense of relief after I saw that aspect of the book is fantastic! As an author and illustrator, I can tell you that’s very stressfull part of the job, cause if you don’t sync everything (especially colors) before printing it will be printed bad, and stay that way forever. So – Hooray! The book is bound, with dust jacket printed. 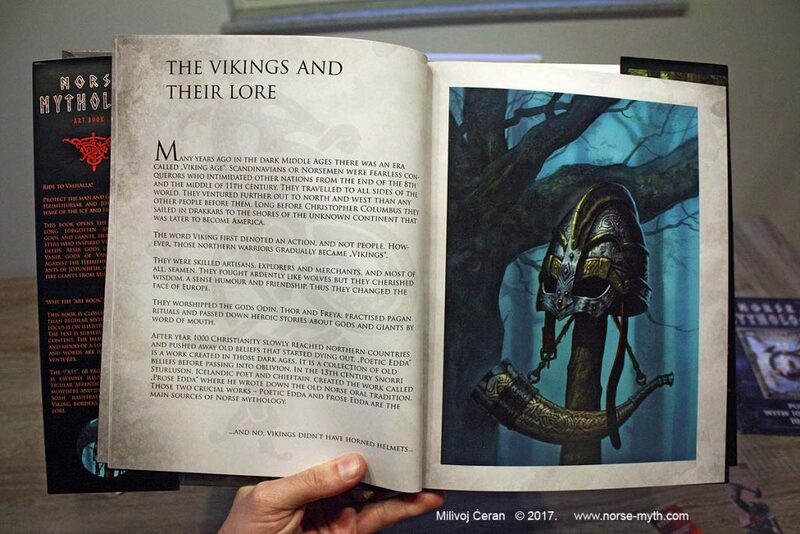 And even without embossing, gloss, ribbon and gilded pages, which will be added in the final product, it looks like a real thing. It’s completely different feeling to see this on your screen and holding it in my hands, flipping through pages, and getting excited ’cause it’s no more just a pdf file – it’s an artifact. There are some minor things we’ll need to adjust in the calendar and I need to make detailed inspection of the each page and each part of each image/text, to see if everything is 100% correct. After that I’ll put and “approved” stamp, and we can finally go to real production! Thanks for your patience, and for believeing in this project! I’m sure this book will deserve a place on your bookshelf!